VANCOUVER — This is a love story first. The love of a wife and a mother and the love for a wife and a mother. It is a basketball story, too. And a Columbia River High School story. The connection is real for the Miller family. 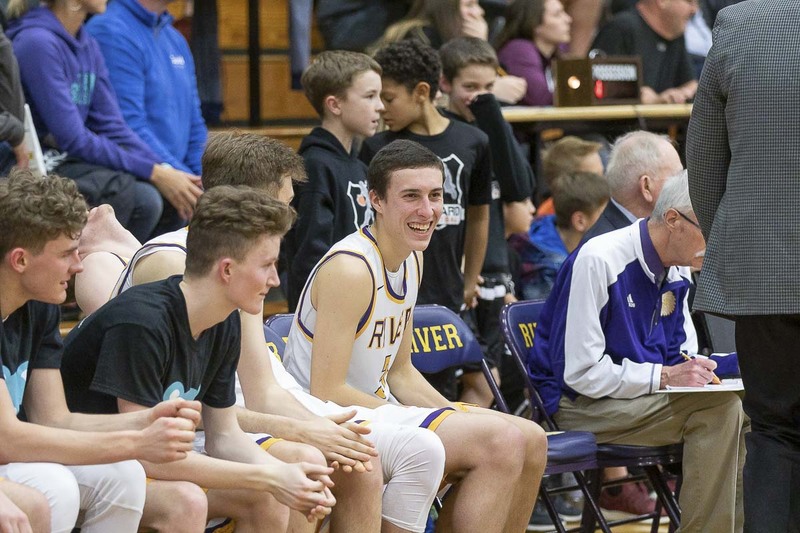 Alex Miller, a junior at Columbia River, is a varsity basketball player for the Chieftains. He is playing on the same team that his dad played for in 1993, playing for the same head coach as his dad played for back then, too. Alex attends the same school his parents attended, where they met, where they became inseparable. A late-blooming Columbia River basketball star, Andy Miller said he found the perfect time to ask for Jaime’s phone number. Jaime, a cheerleader, said yes to a double-date. 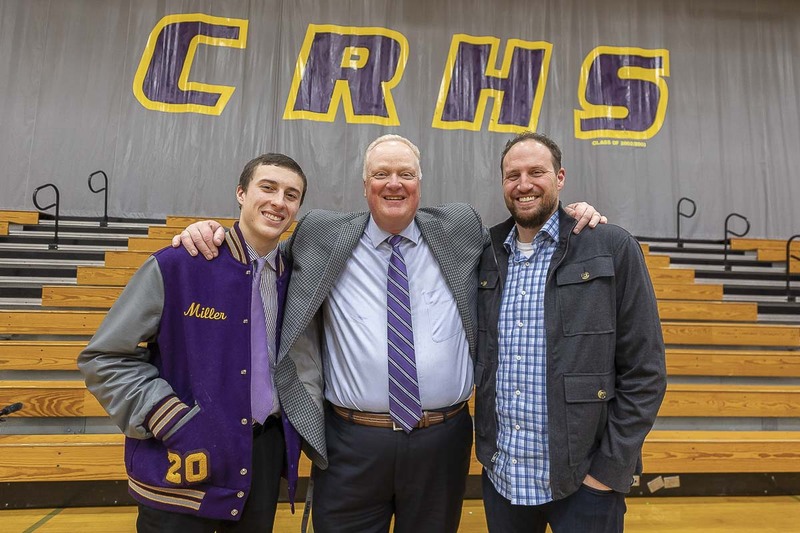 Years later, they returned as Columbia River parents, watching their son play for the Chieftains. Last June, family and friends were back at the Columbia River gymnasium again, only this time to say goodbye to Jaime at her funeral. Breast cancer took Jaime a little more than a year after she was diagnosed. The night before she died, she wrote letters to her husband and to her children. Today, Andy, Alex and Jillian, a freshman who attends Jefferson High School in Portland as part of a prestigious dance program, are trying to fulfill Jaime’s wishes by doing the best they can to live life to the fullest. 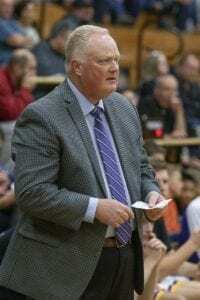 A day after his mother’s death, Alex went to summer basketball practice with the Columbia River team, coached by David Long, his dad’s former coach. Just a few days after her mother’s death, Jillian auditioned for the Jefferson Dancers, a nationally recognized dance company. They are chasing their dreams, just like their mother would have wanted them to do. So, too, has the Columbia River community. Last season, Jaime’s last basketball season, Alex was a swing player from junior varsity to varsity. She got to see Alex play in a varsity game coached by Long, just like she watched her future husband play for Long back in the day. Alex was called up to varsity for the playoffs, too. In that first home playoff game, every player, not just the starters, was introduced. There is a picture, Alex’s favorite, of him running to the court. In the background, his mother is there cheering for him. 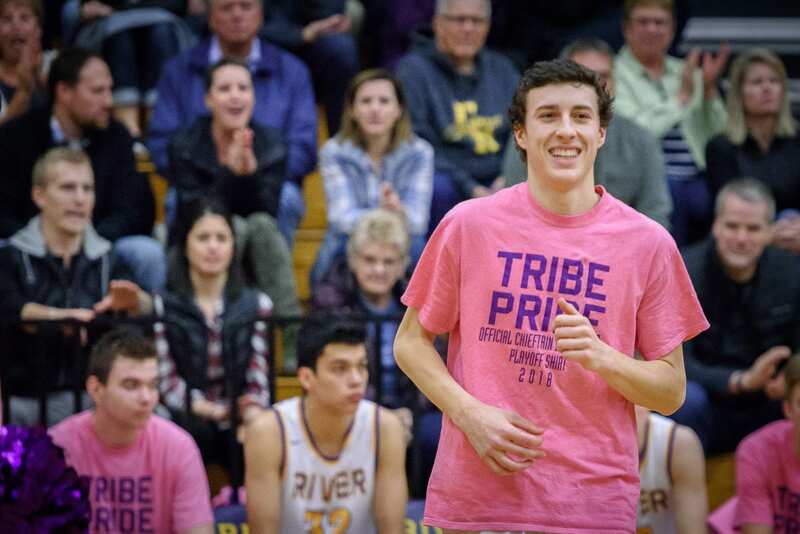 Alex and all of the Chieftains were wearing pink warm-up shirts, made specifically for that night. The Chieftains changed up their look, in honor of Jaime, in honor of the Miller family. “I broke down in the locker room,” Alex recalled. Andy Miller described it as a “mixed deal.” He was so appreciative of the gesture but then it hit home that those pink jerseys were for his family. By then, the cancer had spread. Still, while her children knew she was in a battle, they believed she would overcome, survive. They got that from their mom, too. Jaime was such a positive person. “She could throw together a party for 40 people in 45 minutes. She would bring everyone together,” Andy said. Diagnosed in May of 2017, Jaime immediately went on the attack. An athlete herself who competed in marathons and triathlons, Jaime was not afraid of pushing herself in order to achieve a goal. This cancer was too aggressive, though. Jaime might have known, deep down, that her time was short. Maybe that is why she wrote those letters the night before she died. However, family and friends still thought they had more time with Jaime. Her passing on May 29, 2018 was sudden. The children quickly reached out to their dreams for comfort. Jillian went back to dance, and Alex returned to the court. Alex is a big fan of his sister. “She works harder at dance than I do at basketball,” he said. That is saying a lot, too, because Alex loves basketball. Long recalled when Alex returned to practice the day after his mother’s death. Long said he knows the game was, and is, part of the healing process. For two hours a day, Alex does not have to think about anything but basketball. “He was at every practice, every game,” Long said of the summer schedule. A solid student, Alex wanted to be part of Columbia River’s International Baccalaureate program. By attending River, he also had a chance to follow in his father’s footsteps on the basketball court. And, yes, study at the same place his parents did. Alex acknowledged that he thought of all that family history when he was a freshman. He appreciates the fact that his father played for Long, and now he is, too. He described it as full-circle. “Coach Long was my dad’s coach, and now I’m in the program playing,” he said. In fact, Alex sees similarities. Andy was tough but not too tough on Alex when he coached his son. Just like Long. “I learned my vocabulary from Coach Long,” Andy said with a laugh. Seriously, though, Long made a lasting impression on Andy in that 1992-93 season, Long’s first as the head coach. 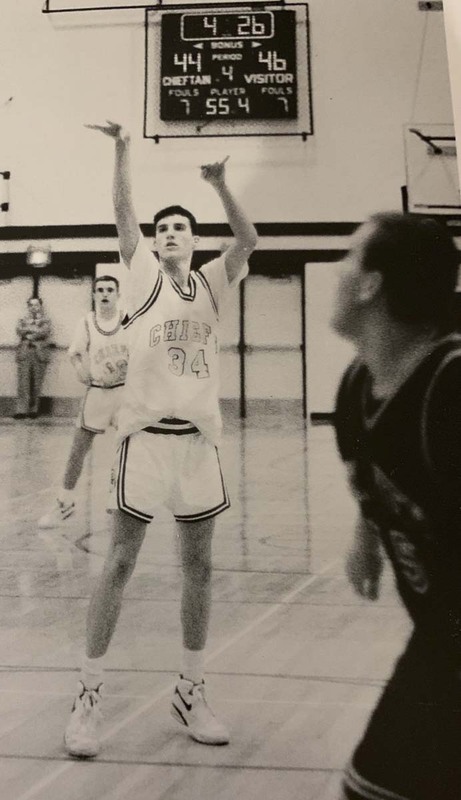 Columbia River did not win a lot of games that year, but Andy turned into one of the top players in the league. It was around that time when Andy got the nerve to ask for Jaime’s number. “I knew who she was but didn’t know her at all,” Andy said. He still remembers that number, by the way. Some things are unforgettable. The relationship between Andy, Jaime, and the basketball coach lasted beyond high school. Long attended their wedding. Years later, Long is coaching their son. This season, Alex either starts or is one of the first players off the bench, depending on each night’s matchup. No matter whether he starts or comes in as a reserve, he’s always part of the main rotation. 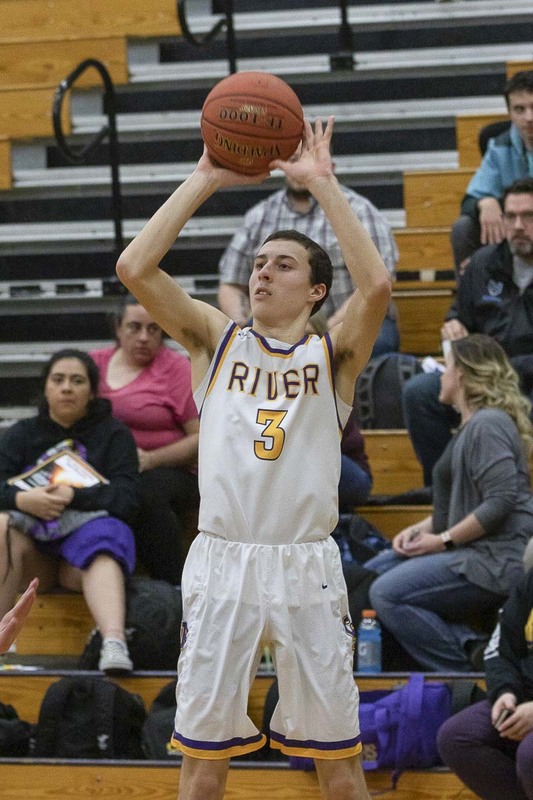 Columbia River is undefeated in the Class 2A Greater St. Helens League and has clinched the league title. 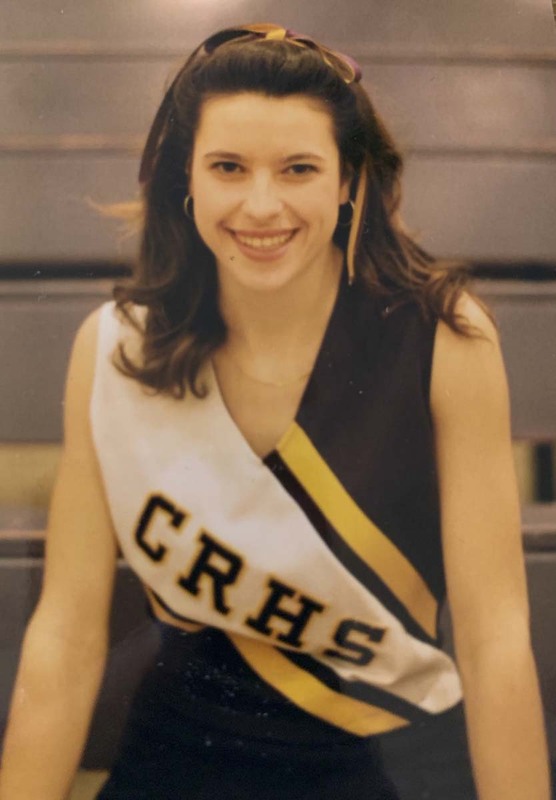 Cheering from the stands is Jillian, who wears her mother’s warm-up jacket from the 1990s cheer squad. It is more than basketball. It is the school. Andy’s dad, Alex’s grandpa, graduated from the school in 1968. Alex’s great-grandmother worked at the school. “Columbia River has been in our blood since the day it opened,” Andy said. Columbia River was the place, the perfect place, to say goodbye to Jaime. After all, Jaime wanted her loved ones, her friends, to be happy and to chase their dreams. And this high school is where this love story started. It is one of the places the story continues, with Alex on the basketball court, just like his dad. The Chieftains do not wear the pink warm-up jerseys this season. 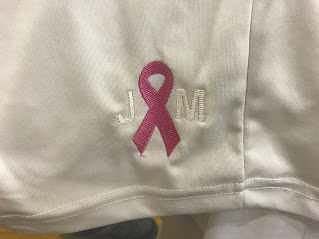 Instead, they pay tribute to the Miller family in a more subtle way, with Jaime’s initials on their shooting shirts. The family, particularly Alex, wanted the main focus to be on the team this season. The team, though, still wanted to remind everyone that Jaime is still very much a part of Columbia River. Through basketball for Alex, through dance for Jillian, and in their studies, Jaime’s children are honoring her wishes. She wanted everyone to thrive, chase their passions, and love one another. 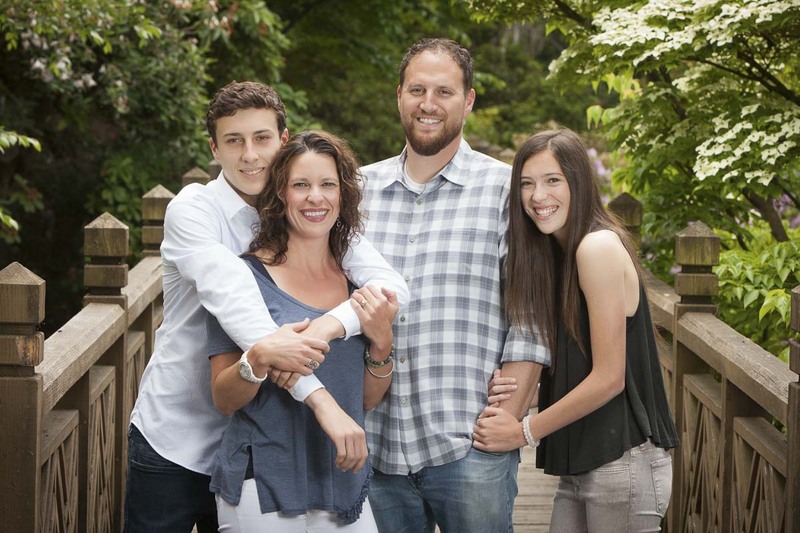 That is the lasting message of this Columbia River High School love story.